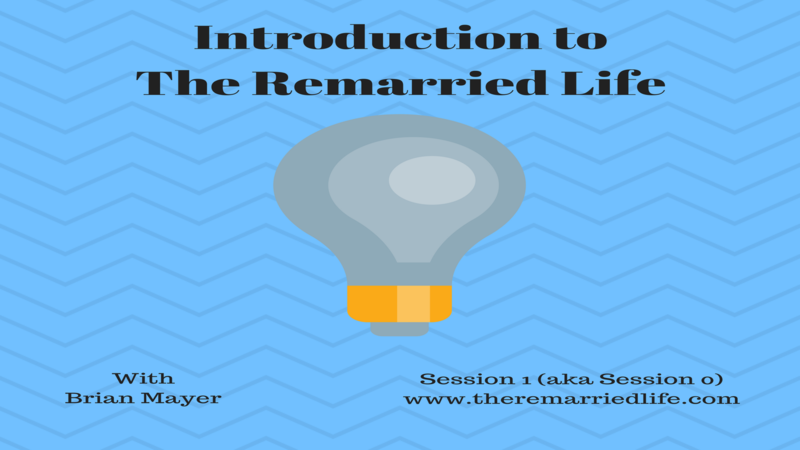 Introducing The Remarried Life podcast with your host Brian Mayer. This podcast is for those listeners who have a previous relationship end to due to divorce or death of a spouse and are either thinking about getting remarried or are remarried. The show will concentrate on all sorts of helpful topics when it comes to needing a redo in love, life, and family. Expert guests will include authors, counselors, pastors, mentors, and people just like you and me. If you are thinking about remarriage or are remarried then this podcast is for you. Topics on upcoming episodes will include: Communication, Conflict, Blending Families, Dealing with Emotional Baggage, Kids, Recovering from Affairs, Balancing Career and Family, Financial Discussions, Feeling like a Failure and What to Do About it, Roles, Long Distance Relationships, and so many other topics. Guests will include professionals like authors, counselors, pastors, coaches, mentors, and most importantly people like you and me.